THE HEALTH SERVICE Executive has told residents of Limerick that anything that came in contact with flood water will have to be disposed of. The HSE tonight released guidelines on how to deal with flooding in the area. Residents are also advised to check for rodents, wear protective clothing and to avoid contact with water if possible. They recommend people not underestimate the depth of water as road surfaces or manhole covers may be damaged, destroy any food that has come in contact with water and consider throwing out children’s toys that have come in contact with water. Where possible, people are advised to avoid the water altogether and to cover cuts and grazes. The emergency numbers in the region are 061 417833 or 999. There is an information drop in centre at Bishops Palace, which is under daily review, from 11am to 4pm. There is are food centres at Saint Munchins and Saint Mary’s Community Centres which are open from 9am to 4pm. Financial assistance for people affected is being handled by the Department of Social Protection, Ballynanty Health Centre, which can be reached on 061 457100 and is open from 9am to 5pm. Email “Limerick residents should 'assume flood water is contaminated' ”. 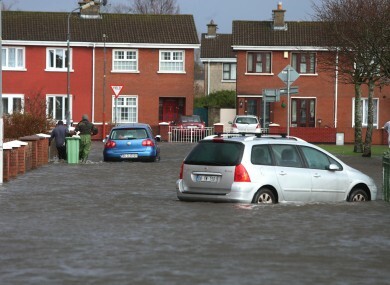 Feedback on “Limerick residents should 'assume flood water is contaminated' ”.